This is a purely non-fictional story and the views presented in the conversation belong to the respective owners. Namo-Bhakt is not an imaginary character but is someone who is sitting right next to you in the bus or metro, or maybe is your senior in office, or could even be your parents at home! Beware, they can bloody screw your mind and leave you bheja-fried because they are people who should be chained and kept away from the society as they are a much more serious threat compared to Pakistan! Read at your own risk because you might pull your hair or break the screen of your laptop or phone. But better than this, just punch the next Namo Bhakt you see and you WILL be surely rewarded as the next hero during the Republic Day parade. Me: Hi, what’s your name? Me: Umm, interesting name! So how are you Namo? Namo Bhakt: Namo is god, god is always fine. I’m not god, I’m his follower. Me (Absolutely perplexed) : I did not understand, is Namo your name, or is it some god you are talking about? NB: Namo Namah! You don’t know Namo?!! Teri Maa ki *!@*@@##!!#@!! 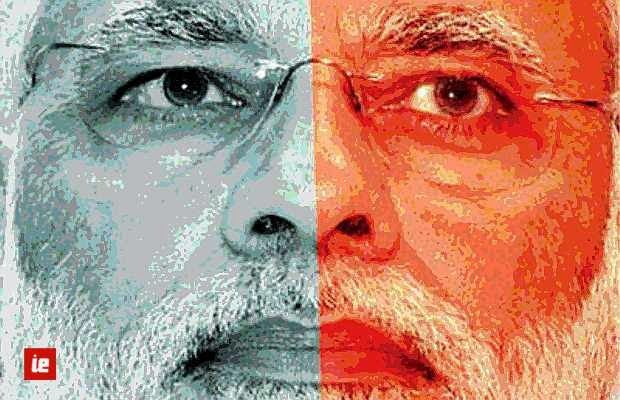 Namo is the next PM of India and no one can stop him! Not even god! Me: Oh oh oh! I’m sorry! So you must be talking about Narendra Modi! NB: Yes, now say Namo Namah. Me: But why? I don’t like Namo. NB: Teri behen ki %$!%@$%$! Me: Dude, chill! I don’t think Namo has revealed any strong policies for India. NB: He has decided to make the tallest statue in Gujarat, don’t you see how much he thinks about the unity of India?! Me: But sir, isn’t that wastage of money? I thought BJP was against spending money on such initiatives. Everyone opposed Kejriwal when he gave a Rs200 crore subsidy to the people of Delhi. Then why did BJP support Namo? NB: Shut up, Namo Namah, Namo is god, Namo is right. Me: And you talked about unity. Why do muslims stay away from him then? NB: Because muslims are anti-India! Me: So you mean to say any muslim who is against Modi is anti-India? NB: No, I mean to say anyone who is against Modi is anti India, even if he is a Hindu. Me (Stumped by the logic) : That’s very weird! But why does he call himself a ‘Hindu’ Nationalist? I thought nationalism did not have any religion. NB: Because only Hindus can be nationalist, garv se kaho hum Hindu hai. Me: Umm.. (Trying to change the topic) So what else is Modi’s development plan? NB: He will make India like Gujarat. 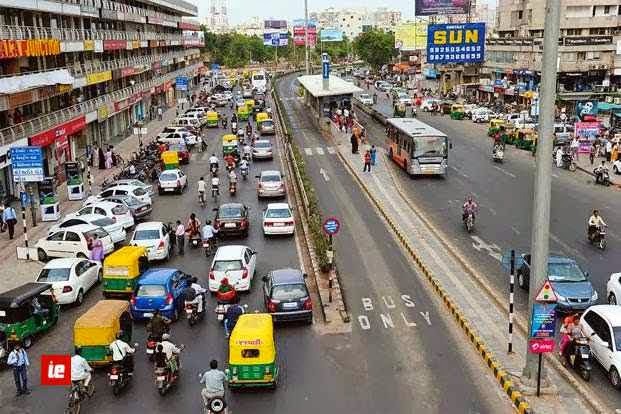 Me: Ohh, but what is so special about Gujarat? NB: He is building Sardar Patel’s statue. NB: It is the tallest statue. Me: But even Delhi, Mumbai, Kochi, Bangalore and Jaipur have almost completed its construction! NB: But the one in Ahmedabad is special. It is being built by Namo. Me: What is so special? Does it fly? NB: If Namo wants, it will fly also. Me: Oh really?! What else has Namo done? NB: Kejriwal is an anarchist. Me: But i did not even talk about Kejriwal! NB: He is a Pakistani Agent who will give Kashmir to pakistan! Me: But why are we even talking about Kejriwal?! We were talking about Modi’s development plans! NB: Because Kejriwal has links with the Ford Foundation and he is corrupt! Me: Are you insane?! I asked what Modi will do for the country! NB: He will win against Rahul Gandhi and Kejriwal and save the country! Me: Oh, so is that his development plan? NB: We all know its wow. Me: I’m amazed, we might just surpass China’s growth rate with this plan. Me: I was talking about population and poverty. NB: We have a plan to reduce population. ME: Oh that’s amazing! What is the plan? NB: We will repeat Godhra riots. Me: WHAT! This is absolute non-sense! NB: Oh shut up you anti-Hindu b*a***rd! It is because of people like you that India is struggling. Me: (Topic changed again) So what else is Namo planning to do? Can you show me something? Me: Ohh? Is that Gujarat? NB: Yes, now you know why Modi is the best? Me: (Laughing) Yes yes, he is the best! 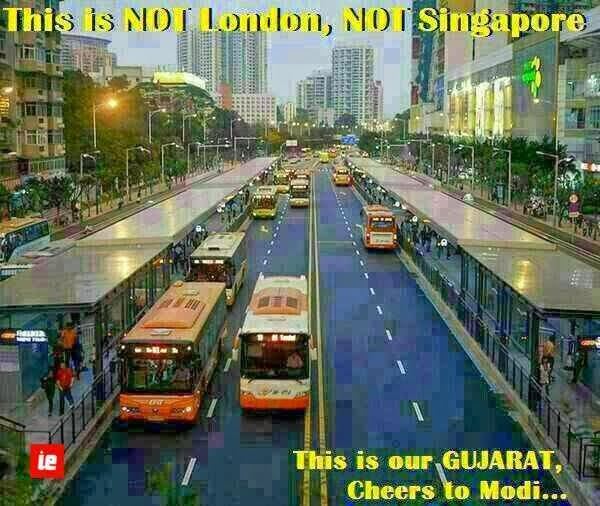 This is why Gujarat looks like this! NB: Shut up, this is fake! Me: Yes, my picture is fake. That’s why there is Gujarati in my photo and Korean in yours! NB: I told you, Namo can not be wrong. Me: (Scratching my head) What else can you show me? 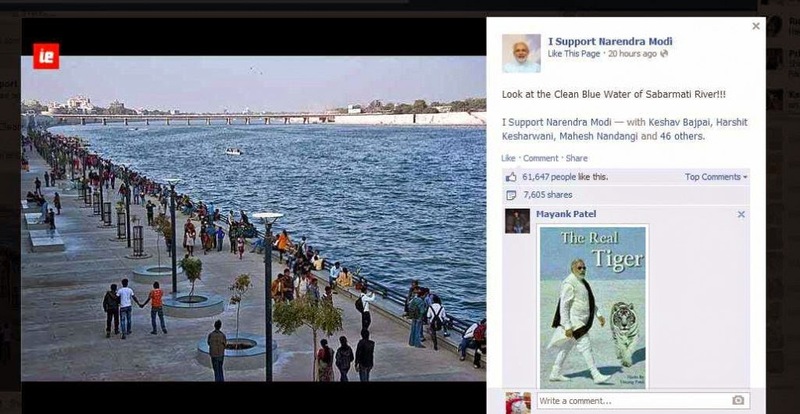 NB: Here, see the beautiful blue water of Sabarmati. Me: Haha! Is that really Sabarmati?! NB: Yes, blue as the sky! Me: Then what is this? NB: Photoshopped! You feku liar! 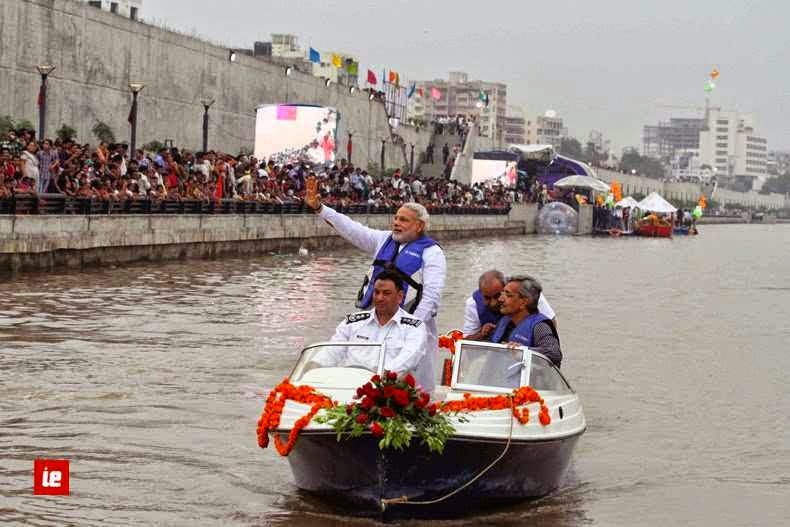 How can you change the blue color of the water and put Namo’s boat on it! I will kill you for spreading fake images! Me: What! Seriously, take a knife and kill me! NB: No, we are peaceful people, we kill by mentally attacking people. Me: Okay, what is the full name of Gandhiji? Me: It was Mohandas Karam Chand Gandhi. NB: But Namo renamed him. Me: Wow. Anything else you have to say? Corruption, development, education, poverty etc? Gujarat still has very poor people and the education is really bad. Ministers are corrupt and there are potholed roads everywhere. NB: Kejriwal is anarchist and a Moaist leader. Rahul Gandhi is mentally ill and we will end ‘Vanshwaad’. Me: What about the funding of BJP, they have crores in their account which they haven’t revealed. NB: Kejriwal gets money from AAPTards who want to destroy the country. His funding is not transparent. Me: (Frustrated) But its there on the website. NB: But I don’t have time to check it. So they are liars. Me: That’s a really good logic! What about the CAG report which says Modi’s policies lead to losses worth 16000 crores in gujarat? NB: AAP is the B-Team of Congress. NB: Not Aaaargh. Its AAP. Me: Get lost you retard!! Me: I am neither an AAP nor a Congress supporter!! And neither did Modi support Anna, a dumb leader who never speaks on crucial issues! NB: See, again you are talking about AAP and Congress together! AAP is the B-Team of Congress! Me: GET LOST GET LOST!! Me: GET LOST Before i punch you! NB: This is what you people know, violence. BJP is the most non-violent party. Me: Oh really! What about Ayodhya? What about Godhra? NB: What about 1984 Sikh riots? Me: That is a nice way! Kill people, incite violence, and then blame the other person that even he did it! NB: They killed 3000, we killed only 1000. We won, we are better. NB: (With a devilish smile) Haha, finally, we have another victim. Huhahaha. Mission successful. One day, we will have only Namo Bhakts or brainwashed Jehadis. Since you were not ready to support Modi, I converted you into a brainwashed Jehadi. Huhahahaha. And so, even I was converted into a brain-washed Jehadi. I have lost the power to think and the ability to argue with a Namo bhakt. I’m scared of bumping into one, and the word ‘Namo Bhakt’ sends jitters down my spine. Their army is growing rapidly and they have placed their sources everywhere. The next time you see or hear someone, just rush to the nearest railway track and ask the train to run over you, because it is better to be out of this place before they turn you into a brain-washed Jehadi, for they are Zombies who will devour enyone who comes in their way. I feel even Rahul Gandhi is a victim as no normal person can have such a low IQ.